Here is a short selection of pieces from this score, which was inspired by the sounds of electricity pylons and Yorkshire colliery soul (and cowboys). The Selfish Giant was a unanimous decision for us. A supremely well judged film – delicate, powerfully emotional, and brilliantly acted with remarkable editing and photography. It is a tough subject but there is hope in this moving story of the friendship between two boys. A very successful contemporary update of the Oscar Wilde fairy story, we feel that that this film will be especially useful for engaging younger audiences – a worthy winner of the Label, therefore. This film was chosen for its film quality, human emotion, exquisite cast and remarkable use of music and sound design. Where The Arbor for all its innovation in other departments, retained a certain televisual quality to its construction, The Selfish Giant is boldly, broodingly cinematic. Backed by an effectively spare score from Harry Escott that sometimes recalls his work on Steve McQueen’s Shame, d.p. Mike Eley’s compositions carefully play the dark, rolling landscape against the squat impositions of town planners. The relentless Yorkshire weather, meanwhile, is almost palpable in Barnard’s chosen palette of stormy blues and mossy greens. 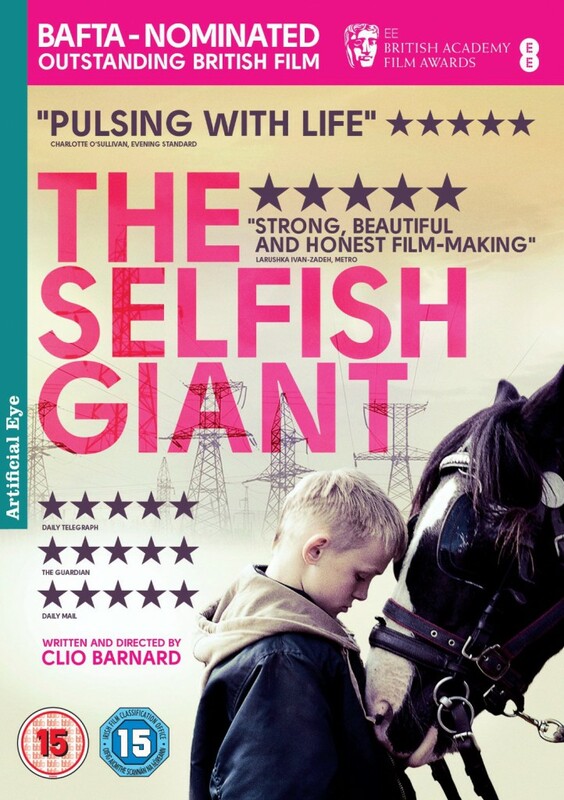 The Selfish Giant is one of the great modern British films… Clio Barnard has written and directed a poetic, moody, Yorkshire-set film with a slow-gathering plot and harrowing climax. Rooted in a very real, modern Britain ... But for all its stark realism, it has a touch of myth to it too, and it's lyrically shot. The Selfish Giant earns all of its emotion the honest way. If it's at times painful to watch, in the end it gives back much more than it takes. It's generous and steadfast, like true friendship itself.